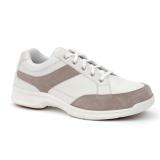 Oasis comfort tennis shoes were produced by foot doctors for foot patients. The entire Oasis mens shoes line was specifically created for men who foot problems and/or diabetes that require an orthopedic shoe that is extremely comfortable, has room to hold their shoe insert, and is stylish. 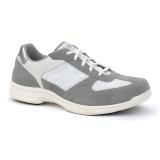 Enjoy our selection of the full Oasis line, and find the perfect comfort tennis shoes for your own personal collection.